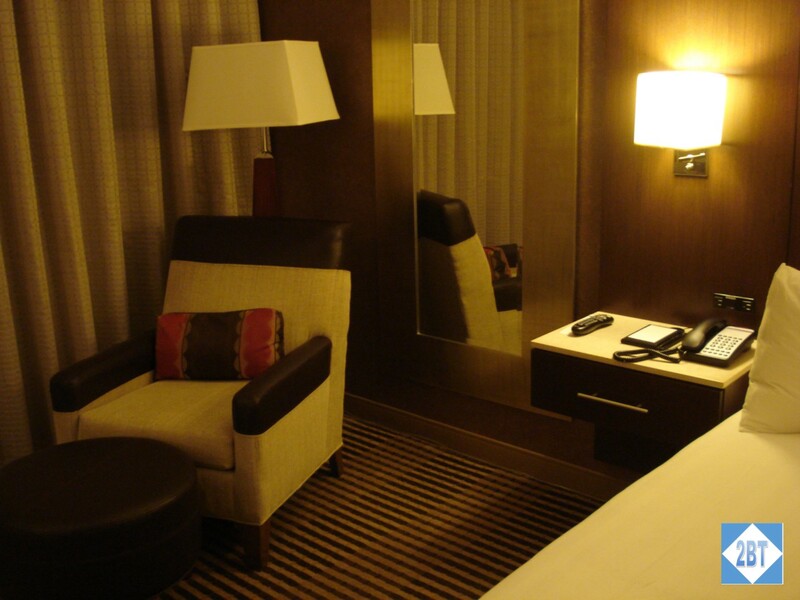 The room had a standard hotel layout with the bathroom immediately to the right upon entering and then the room opened up to a setup with a king bed, a chair with an ottoman, a chest with TV on top and a desk. 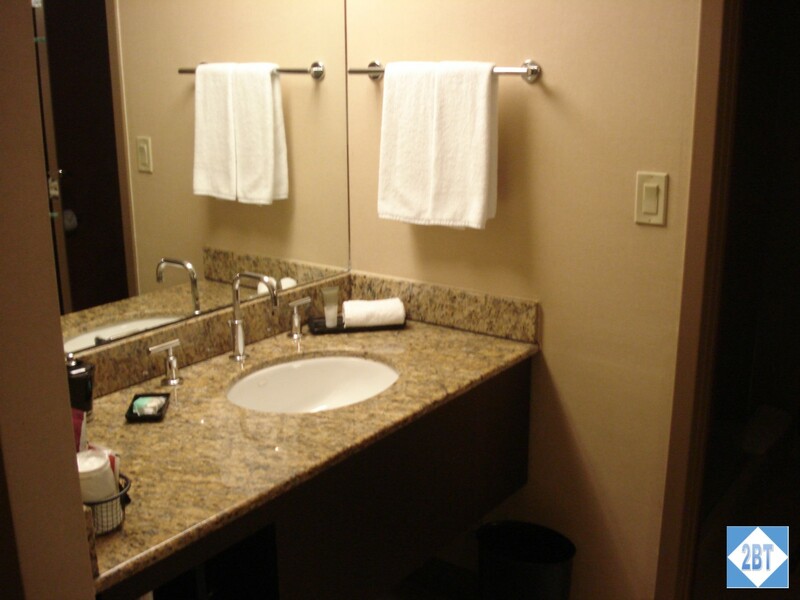 The bathroom’s vanity and sink were outside the room that held the toilet and shower. That’s great when people are sharing a room. Across from that was a closet with full-length mirrors on the doors. 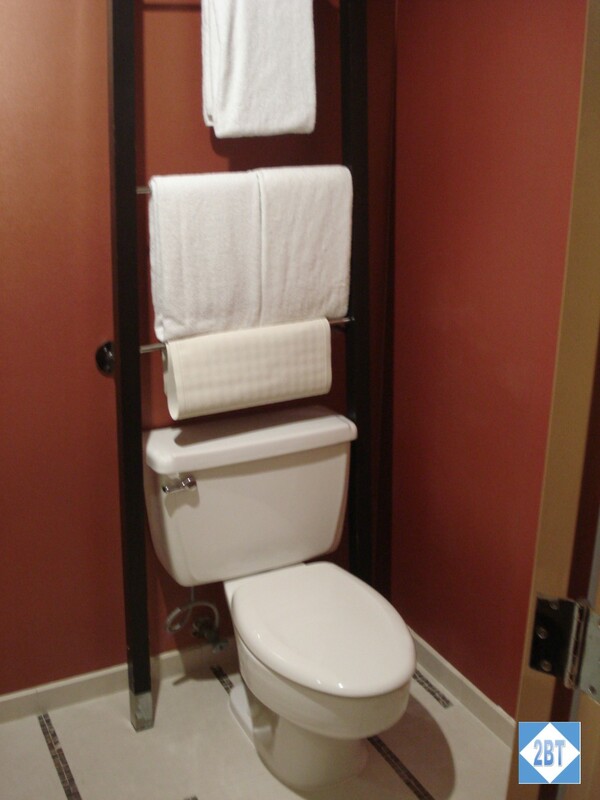 Inside the bathroom proper on the right side was the toilet, which tad a towel rack mounted over it. 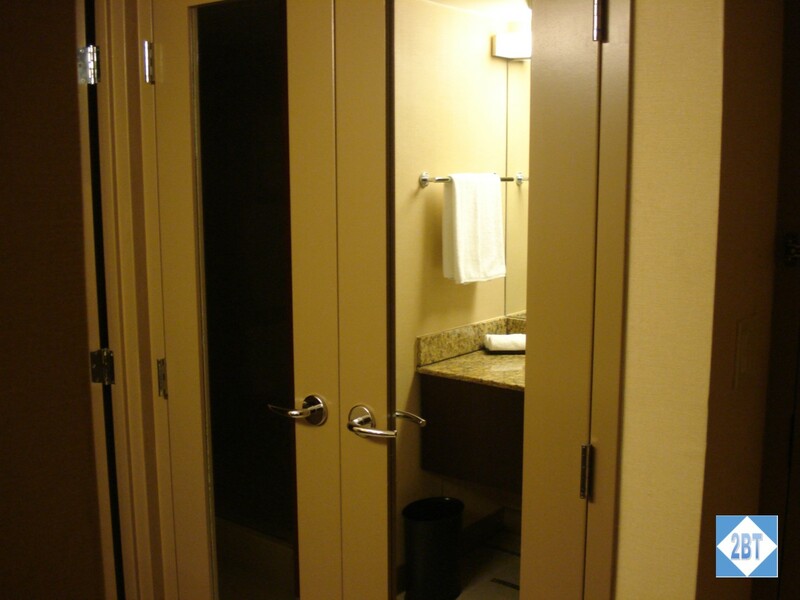 On the left was the shower stall. This was a letdown because for some reason Hyatt has thought it’s a good idea to copy European hotels and have a shower wall that has no means of closing off the shower area. 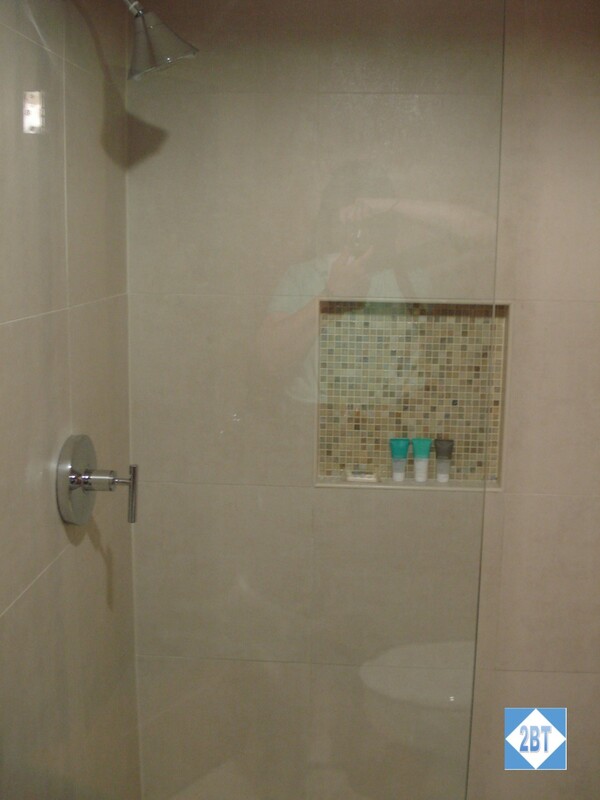 While I do think the glass extends farther than the showers I’ve seen in Europe, it’s still a dumb idea. Who wants any water splashing out onto the bathmat? Grr. 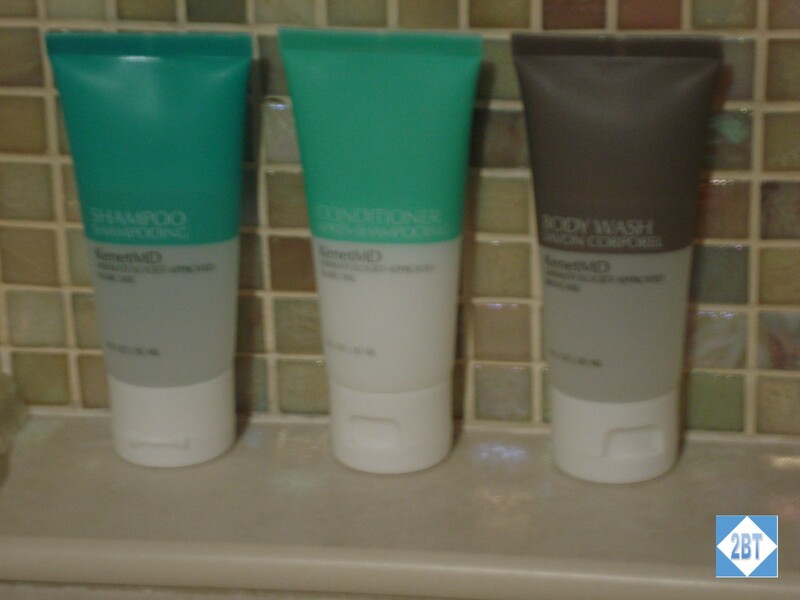 The toiletries were KenetMD. I liked that body wash was provided, instead of a soap bar like we see with the Kenet products in Hyatt Place hotels. 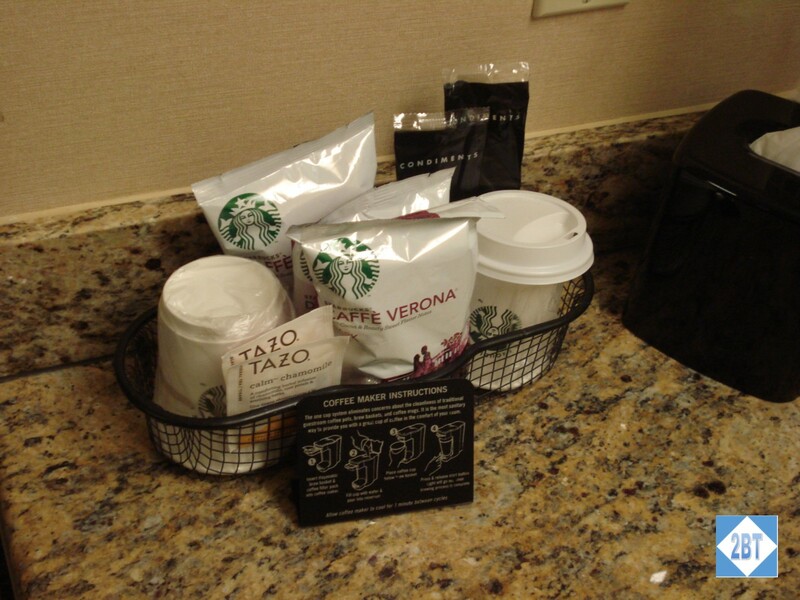 On the vanity by the sink was the coffee maker with a few different types of Starbucks coffee and a couple of cups. 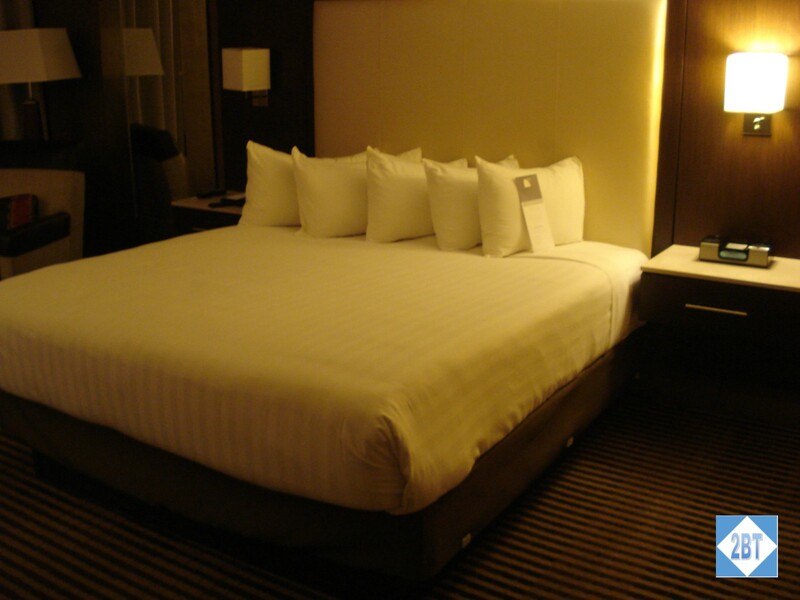 The king-sized bed was quite comfortable and had a nightstand on each side. The alarm clock also included an iPod/iPhone docking station. 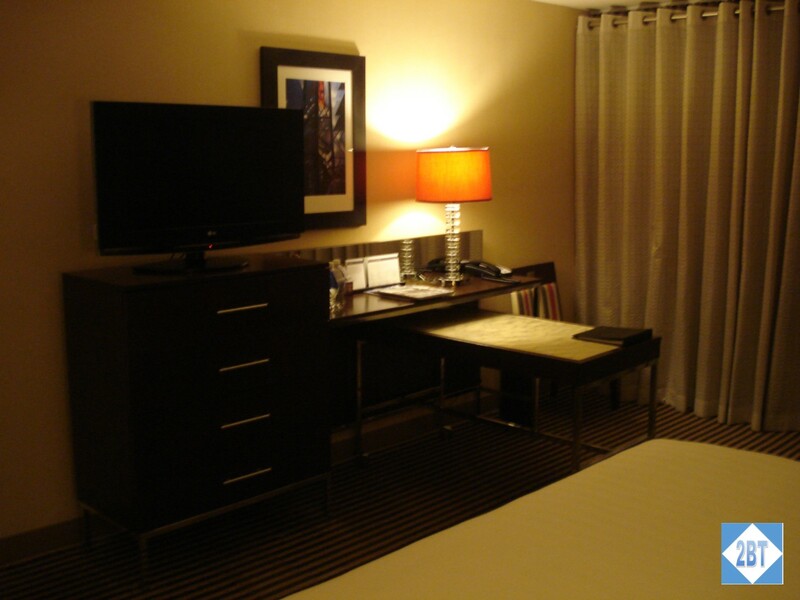 Across from the bed was a chest with four drawers and the TV sat on top of it. Beside that was the desk which included a pull-out section to make an L-shaped desk. Very nice for those who actually need to use it. Between the bed and the window was a comfortable chair with an ottoman. I liked the color palette of the room but I was really too tired to care one way or the other. 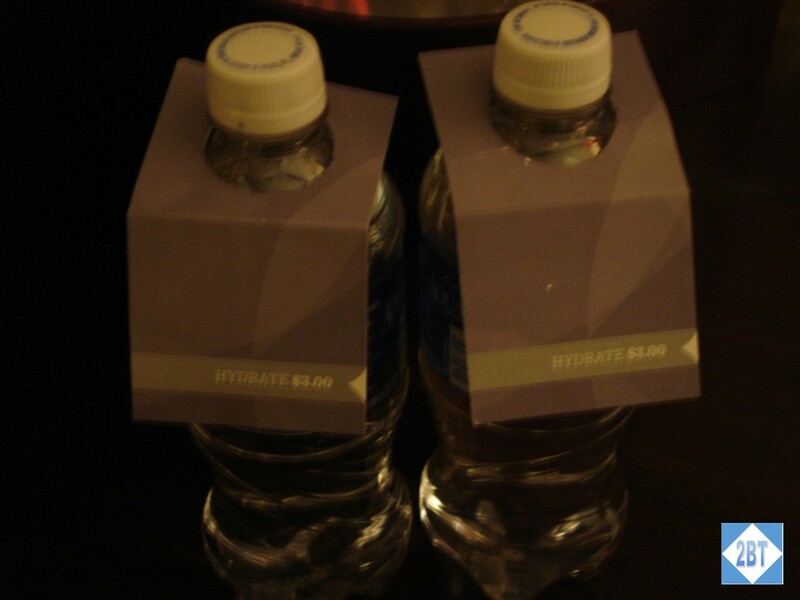 After having free water in both Australia and Fiji, I really knew I was back in the States when I saw that water bottles were $3 apiece here. I called the front desk to ask about the timing of the airport shuttle. There was no need to reserve a spot but it was recommended that I arrive downstairs early. With that I was about to get about 5 hours of sleep in a real bed, which felt wonderful. I wished I had enough time to check out breakfast but between my early morning flight and wanting to get as much sleep as possible, there just wasn’t time. I knew I’d be served some kind of food on the plane anyway. I was glad the front desk told me to get downstairs early as we filled up two shuttles back to the airport. But there were no delays and since I was still on a business class ticket I went through the Priority AAcess line for my flight back to Memphis. After two years in the planning my trip was finally complete. We had some minor glitches but all our flights went off without a hitch! Now…where to go for my next milestone trip? !